Killer Characters: Happy Father's Day! Happy Dad's Day to all the father figures out there! Since my sister and I are enjoying a road trip visiting all of the Laura Ingalls Wilder homesites, we just called our dad to wish him well. I've also been thinking a lot about Charles Ingalls, Laura's Pa from the Little House books. 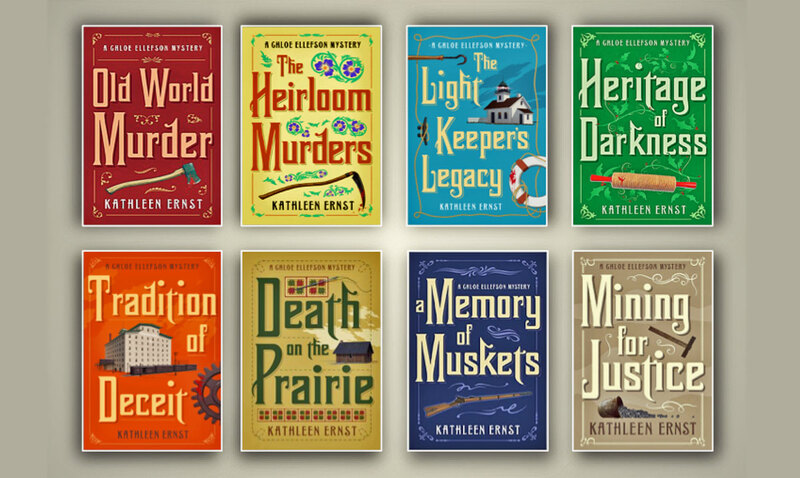 When I read the books as a kid, I focused only on Laura's stories. These days, I give Charles a whole lot more credit. Yes, he hopped around a lot, and made some mistakes. But he managed to keep the family together through some pretty daunting times. 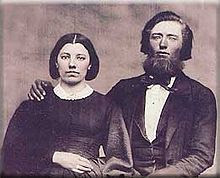 Laura's parents, Caroline and Charles Ingalls. What do you think? Was Charles a good dad in the famous books? Or do you have another favorite literary father? 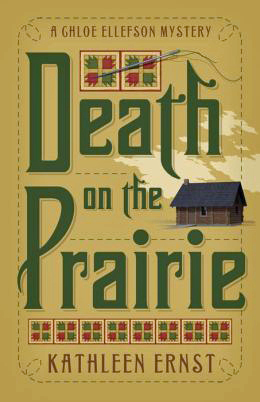 Kathleen is celebrating the series with an eight-month-long retrospective, and it's Death on the Prairie month! Stop by her blog to learn more about the book, and watch her Facebook Author Page for a Giveaway. 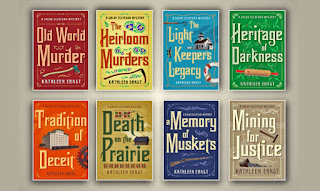 I haven't read those books in a long time. Need to pick them up again.